rule the lake - TheCooler Get outside! I had an opportunity to visit Paducah, KY for a wedding recently, and found some great watering holes around town. Here's my take on Drinking in Paducah! 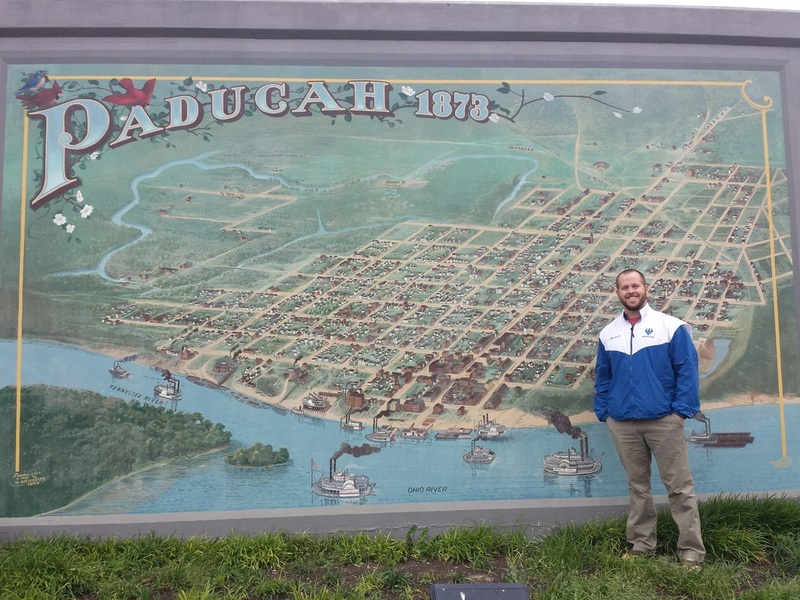 According to Wikipedia, "Paducah is a city in and the county seat of McCracken County, Kentucky, United States. The largest city in the Jackson Purchase region, it is located at the confluence of the Tennessee and the Ohio Rivers, halfway between St. Louis, Missouri, to the northwest and Nashville, Tennessee, to the southeast. The population was 25,024 during the 2010 U.S. Census. Twenty blocks of the city's downtown have been designated as a historic district and listed on the National Register of Historic Places." This city has quite the fascinating history, which is actually displayed via huge murals painted across a massive flood wall (seen in the picture). If you're passing through the area and like American history, be sure to check the flood wall out. Then, hit up these three spots for drinks. I gotta say, I expected to post more here....I have definitely been drinking, just haven't gotten around to writing about it. There is definitely a correlation there. We've been crushing mostly a lot of Summer Shandy so far, because it's amazing, but I'll put an emphasis on The Cooler over the coming weeks. If you have a great recommendation, leave a comment and I'll check it out. Thanks for reading! If you're drinking wine while boating, you're going to want these two items to prevent spilling and look classy at the same time. Read the review here. 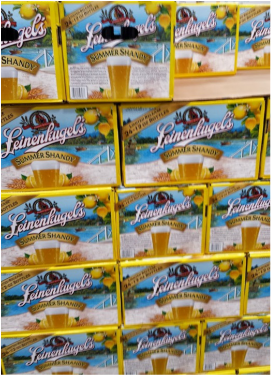 ​It may not be summer yet, but huge pallets of Leinenkugel’s Summer Shandy are already stacked up at Costco, which, for me, means it must be Lake Season in Indiana! While there is nothing Earth-shattering about Summer Shandy, it’s pretty damn good. Light, refreshing, and affordable, this is one of my go to beers for some quality lake floating and boating. Now all you hop-heads and craft beer connoisseurs out there should take a deep breath and not dismiss my taste in beers (yet), because I am an equal opportunist drinker, and a true King of the Lake doesn’t judge (see Rule #1)!